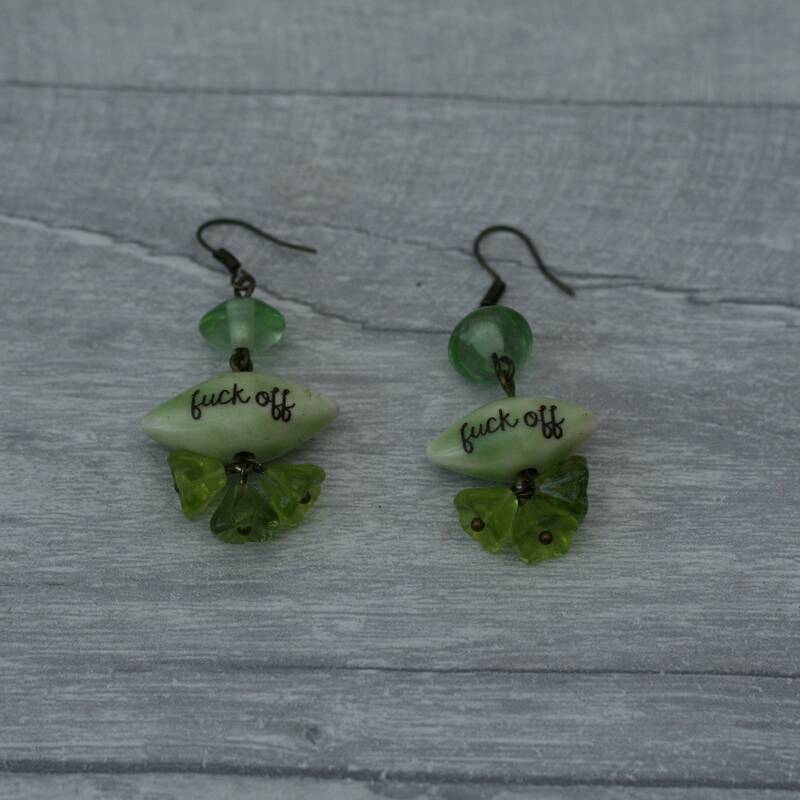 These earrings have been made with a ceramic swear word bead and matching beads. They have been completed with antique bronze ear wires. 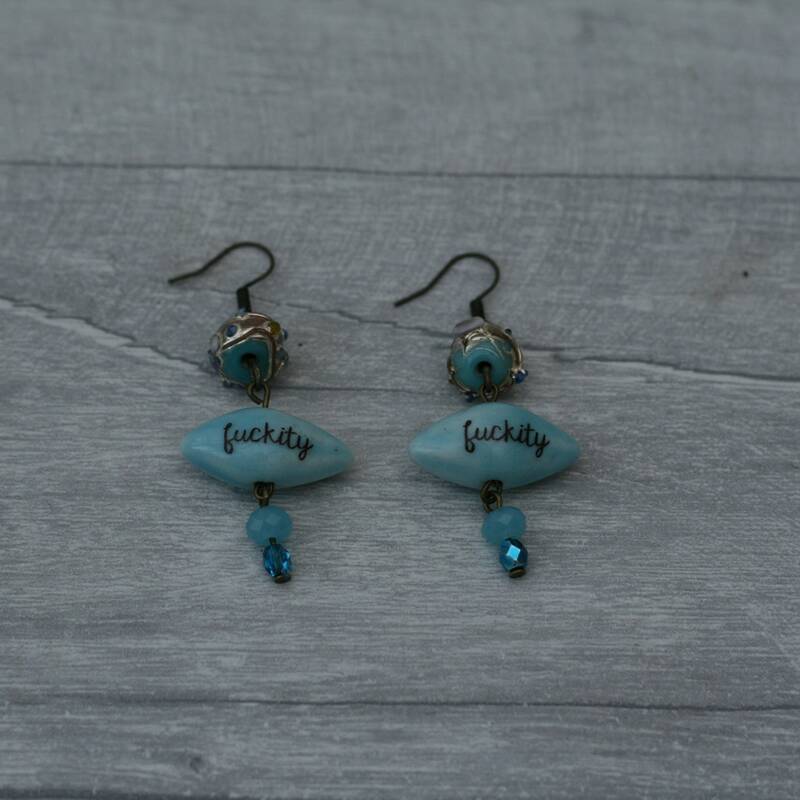 • These earrings are very lightweight to wear. 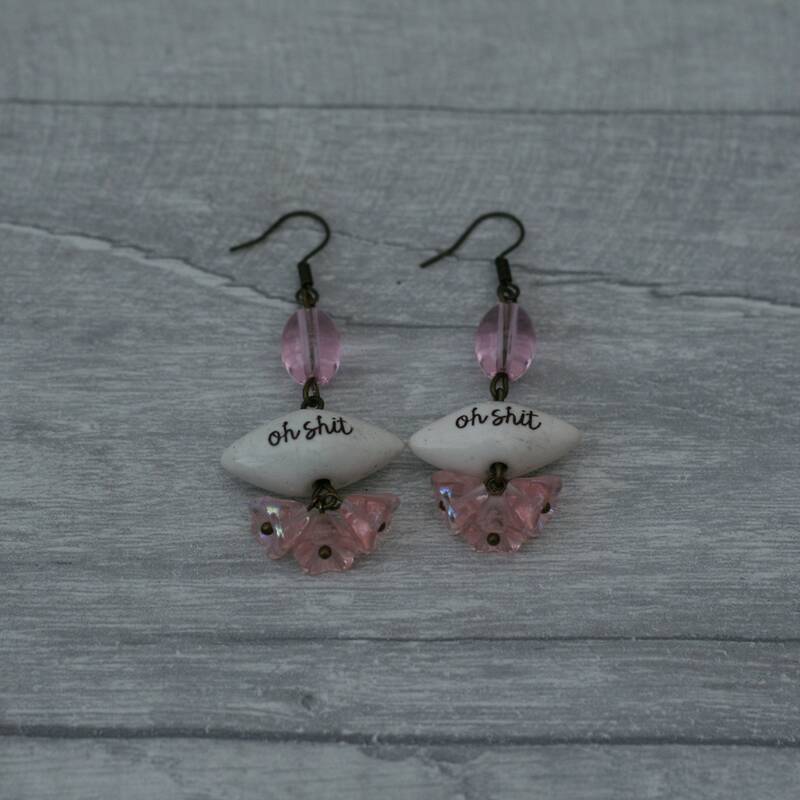 • Although these earrings has been made with the greatest care and attention, we recommend not taking it in the shower or swimming pool.